Meaningful high-impact learning experiences meet informed engagement practices. To link to our full website, click here. 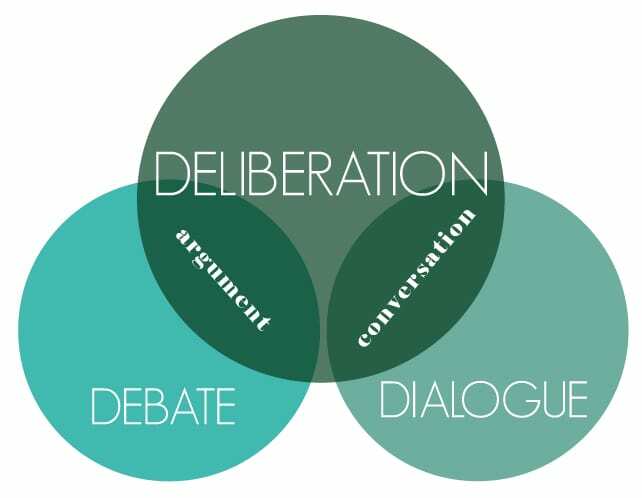 Deliberation involves the best parts of dialogue (conversational) and debate (argument) to offer an experience where participants can learn from one another by talking through different perspectives and approaches to local and global issues and working together to come up with community action steps. What does Baylor PDI do? As a Center for Public Life with the Kettering Foundation, we invite Baylor students, staff, and faculty as well as local community members to participate in forums about local and national issues to better understand the perspectives, possible outcomes, and trade-offs of different options. 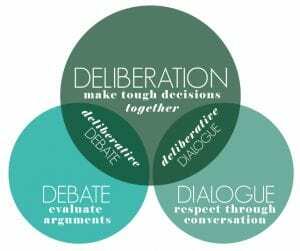 What are the benefits to engaging in deliberation? 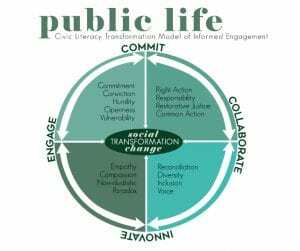 Civic literacy, active listening, humility, non-dualistic thinking, GRIT, and facilitation skills–to name a few! 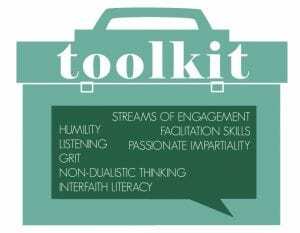 Learn more about the PDI toolkit and our Certificate Program. Get Certified as a Facilitator!